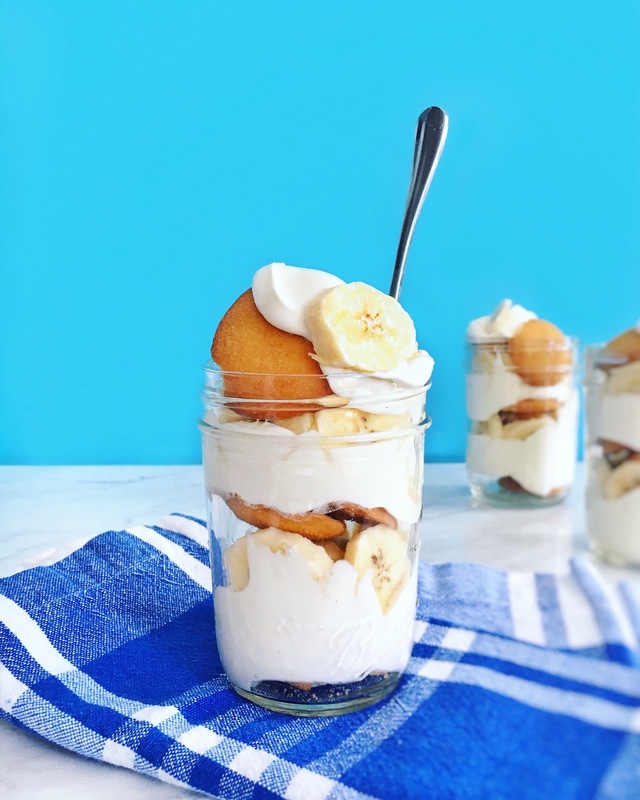 Healthier Banana Pudding! / Hey, EEP! 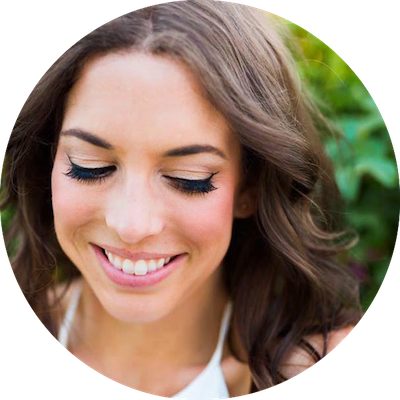 You gals probably remember back when I shared my 6-Month Wedding Slim Down that I'm not into deprivation but, instead, try to eat well and clean by avoiding processed foods as much as possible. It's been such a positive eating routine for me! And I really value it now that I'm pregnant. 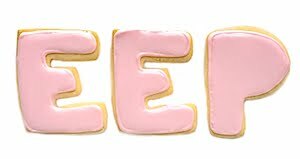 Ice cream is easy; I usually stick with vanilla Haagen Dazs (cream, skim milk, can sugar, egg yolks, vanilla extract) or any of the Van Leeuwen ice creams (I usually go with strawberry, which is just milk, cream, organic egg yolks, cane sugar, salt and fresh strawberries). 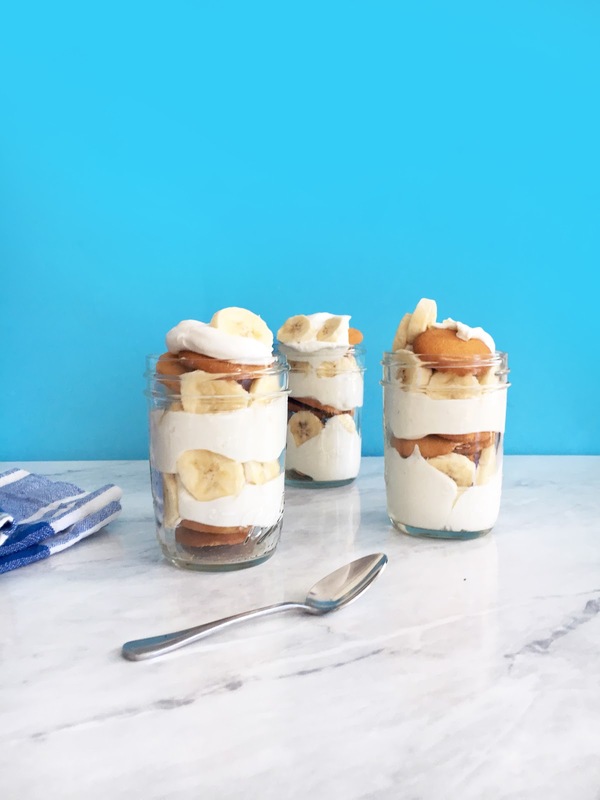 But last week, I had the strongest craving for banana pudding! 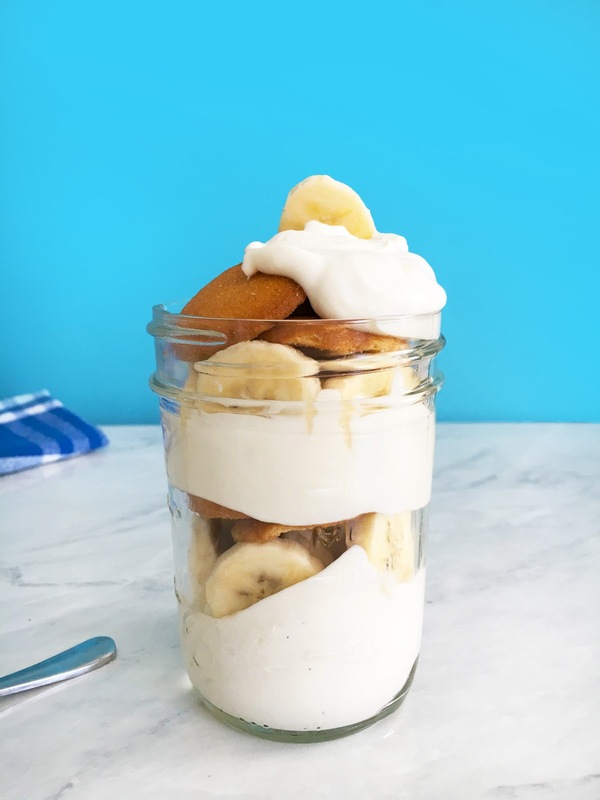 How on earth was I going to do that without A) Reaching for industrial ingredients like pudding mix or sweetened condensed milk B) Having too much sugar, since I know that's not great for bebe. That's how I came up with this recipe! 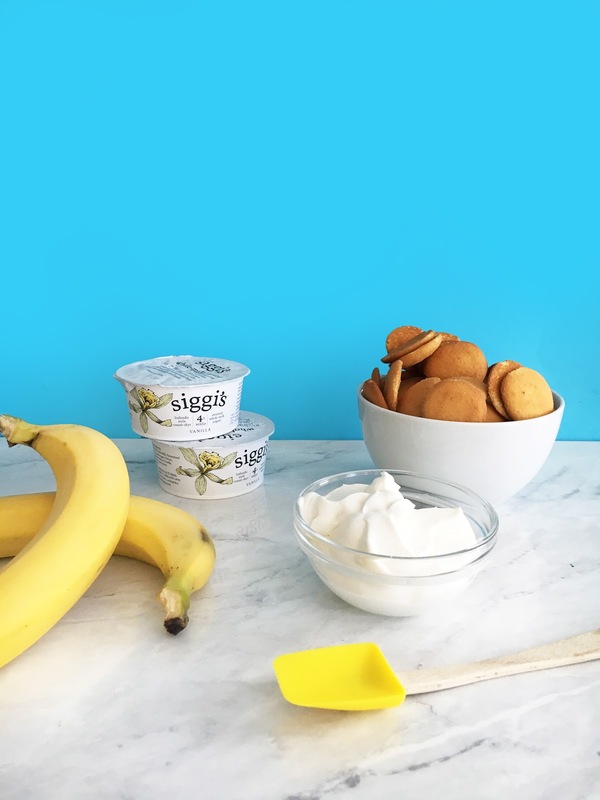 I've been eating a ton of Siggi's 4% vanilla yogurt (not an ad, just my fave) so I had the idea of using it as the base of a creamy, dreamy dessert. Mixed with a little heavy cream, I know exactly what's inside of my treat and honestly I think I prefer it to my old standby recipe. Yes, I still used Nilla Wafers—there are only a few per serving, but you could swap in a healthier shortbread cookie if you'd prefer. 1. 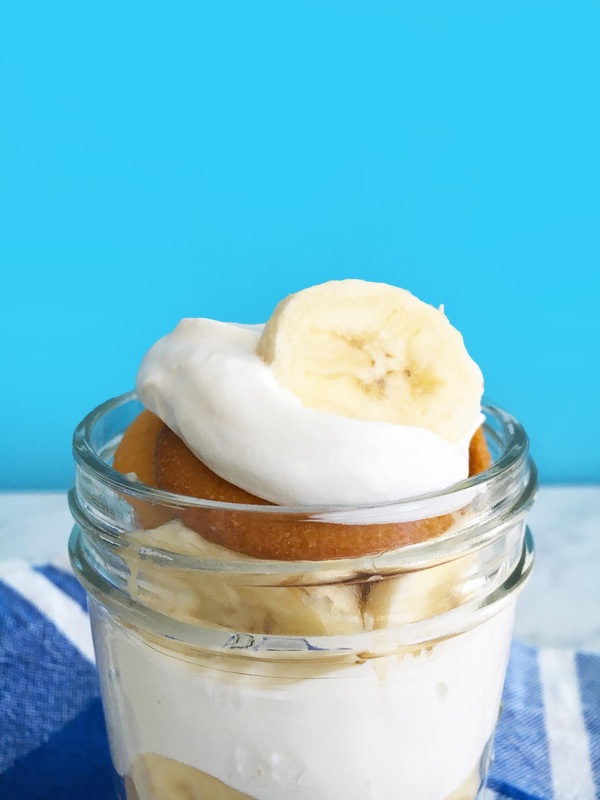 Beat the heavy cream, sugar and vanilla until stiff peaks form. 2. 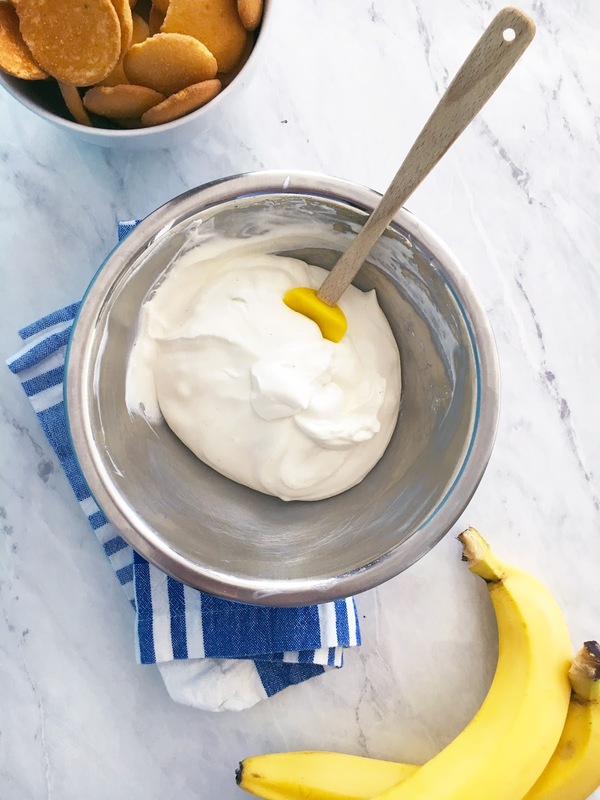 One spoonful at a time, fold the yogurt into the whipped cream until smooth and combined. 3. 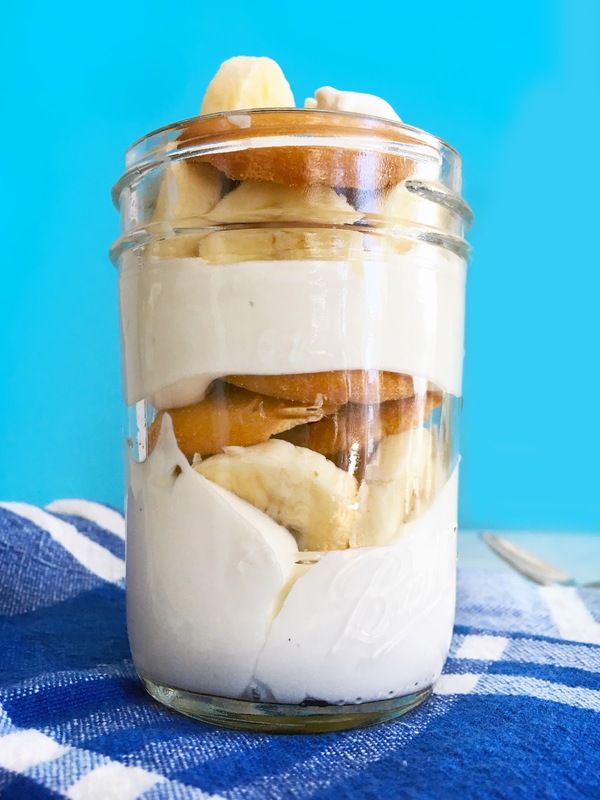 Layer the yogurt mixture, bananas and Nilla Wafer among small cups. 4. Cover with plastic wrap and refrigerate at least 1 hour before serving.